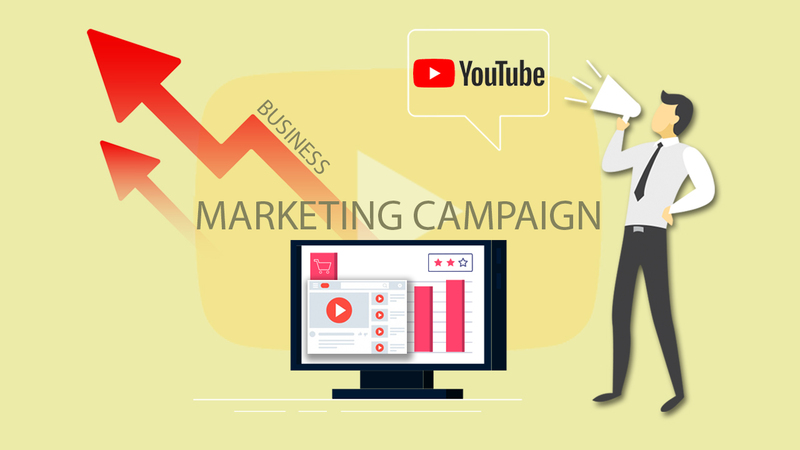 YouTube Marketing: How can Video Advertising Help your Business? 2017 was taken over by the world of videos and called “ The Year of Video Marketing”! Undoubtedly, what Youtube (for Video Watching) is today, Google (for Search) used to be years ago! Truly, the content watched on your HD TV takes a back seat as a YouTube application in your smartphone offers much more variety of content in the same high definition. Launched back in 2005, YouTube at present is the second largest search engine for videos where around 18 billion registered users check it regularly to watch 5 billion videos. After Facebook, this particular platform stands second in the list of customer acquisition strategy of the Big Businesses (Google, Amazon, etc.) to advertise their latest products and services to outreach the world. So, don’t you think it becomes crucial to undergo a Social Media Training Course for all businesses, new or established, to get better insights about what all it takes to stand out from others and be ahead of the rat race? People watch around 150 million hours of YouTube videos every day. Considered to be the most important mobile app among individuals of age 18-34. No Doubt its Popular, But Does Marketing with YouTube Derive Expected Results? The channel that stands second after Google in search don’t you think it has tremendous potential to attract the targeted audience towards your brand? To visually get enlightened and find solutions to the problems, people tune in to videos and tutorials that are deluded on YouTube on a daily basis to address the pain points of the masses. Added profile feature, television-style content, online/offline mode of view, along with these many more upgrades are expected to be witnessed in the coming years. And this surely will benefit companies to incorporate it into their social media and video marketing strategies. Allows you to directly reach the pre-defined audience directly making use of useful keywords, attractive themes or even by using demographic criteria, say ‘Girls under 18’. YouTube Analytics helps you measure the effectiveness of your advertising campaigns by generating real-time data. Video advertisement increases the probability of user interaction, thereby raising the count of your views. Adding a product’s video on your homepage pulls traffic and grows conversions. Mobile video consumption rises 100% every year that closely appeals to mobile users. Video marketing can explain everything via explainer videos, GIFs, stories, etc. YouTube is the second most popular social network that can help you enhance your social shares. The list is never-ending, rather ever growing. If you think it’s just a matter of words then implementing video marketing inside your business strategy will definitely prove you wrong as it will provide you semantic end-results. Don’t dig deep into the ways of creating content. Just be genuine, informative, funny, personal, and above all unique which is more than enough to not let your attempts go in vain. Make a head-start creating useful pieces of information that represents your brand name and attracts public interest. A few simple steps to take and you’ll get going! Create a dedicated YouTube channel, optimize videos for SEO ranking, add compelling CTAs, stay active in communities, be updated and that’s all which will pay you positively. Extend the life of your YouTube videos by showcasing them on your site. This will help enhance the time spent on your website and also favors customer-engagement. To get as expected in the foreseeable future, every company must possess a separate section for publishing updated video content. How much success you gain through video promotion depends on how well you define your campaigning strategies and tactics. Like any other content, the information offered by videos must be forged keeping a strong idea about a customer’s journey that will help you delight and satisfy them. After all, whatever we do today must make someone happy be it our family, friends or our customers which in turn will make you surprise giving their vote of trust and loyalty. It’s merely a give and takes relationship followed at last!